Part I explained the types of check scams targeting lawyers, and how they work. This post explains how you can avoid being victimized by these scams. “-Call the issuing bank branch of the check to verify that the check is legitimate. Use the phone book, the bank’s Web site, or directory assistance to obtain the phone number of the issuing bank branch. Do NOT use the telephone number print­ed on the check – it could be fraudulent. -If the issuing bank will not or cannot verify the authenticity of the check, ask your bank to call the issuing bank and make this inquiry before de­positing the check into your trust account. It helps to have a good relationship with your banker. -If you cannot verify that the check you have is legitimate, consider terminating the legal representation of the client or waiting until the check has cleared and the funds are not subject to a chargeback. 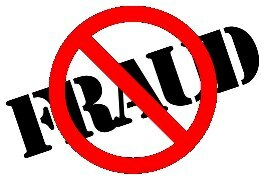 Instruct your bank to notify you immediately if it suspects fraud. Clearly, the best way to avoid being defrauded is to have a good client screening process, follow sound procedures for disbursing funds from your client trust account, and learn to spot and avoid scams. What if you do all of that and still get scammed? That’s where insurance comes in. Your legal malpractice policy may cover your loss, unless it has an exclusion for claims that involve handling funds, or it covers only claims that involve the rendering of legal advice, i.e., it doesn’t cover claims involving the business aspects of law practice, such as those pertaining to your trust account. Another option is to purchase crime coverage, which will likely cover you for the fraud described here, as well as computer and many other types of fraud, employee dishonesty, etc. A skilled broker will make sure that you’re covered for this exposure.